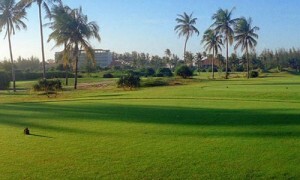 This fabulous Vietnam golf course is kept in superb year-round condition. 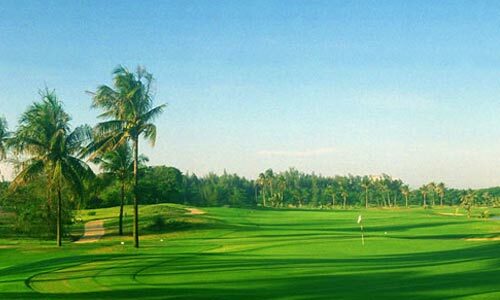 Bermuda grass fairways are wide and generous, as expected in a Vietnam resort golf course, but the dunes, sand bunkers, and vegetation buffeted by coastal winds bring strategy to every hole. 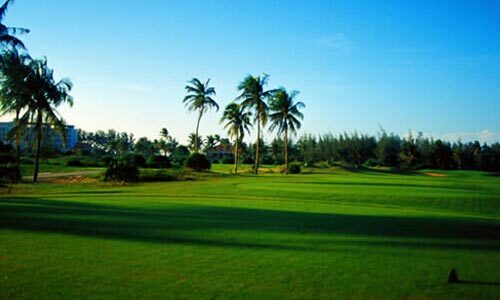 There's an authentic links quality to 6 of the holes; a tree-lined stretch on the 3 holes on the back nine feels like Pinehurst; and the strategic front nine, with its myriad water hazards, looks and plays like a PGA layout from Florida. However, the caddies will quickly remind you that you are playing golf in Vietnam. The Ocean Dunes golf clubhouse overlooking this Phan Thiet golf course has spectacular views of the surrounding volcanic mountains and sea; making a small meal and cold beer after your round most enjoyable. Knowledgeable and friendly staff tend to a full pro shop, bar and restaurant. On-site spa and locker rooms have private sauna and Jacuzzis for use after the round. 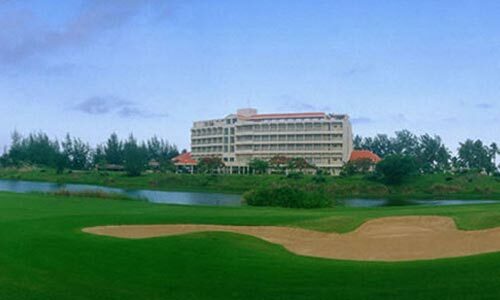 Attached to the Ocean Dunes Golf Club is the luxurious Ocean Dunes Phan Thiet Novotel Hotel. 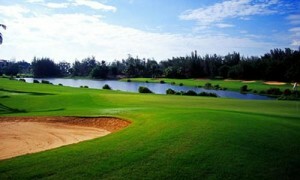 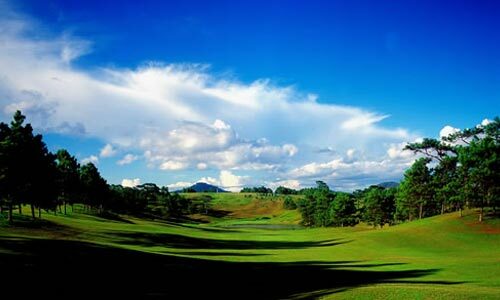 This is one of Vietnam Golf Vacation's top rated golf courses that always receives excellent customer feedback.